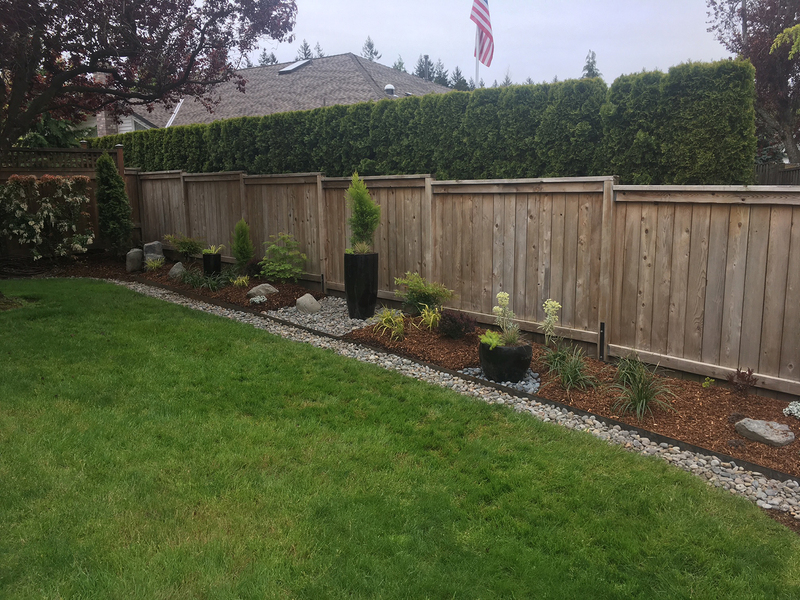 This lovely cozy retirement home located in NE Portland has long narrow lawn and fence in the backyard. 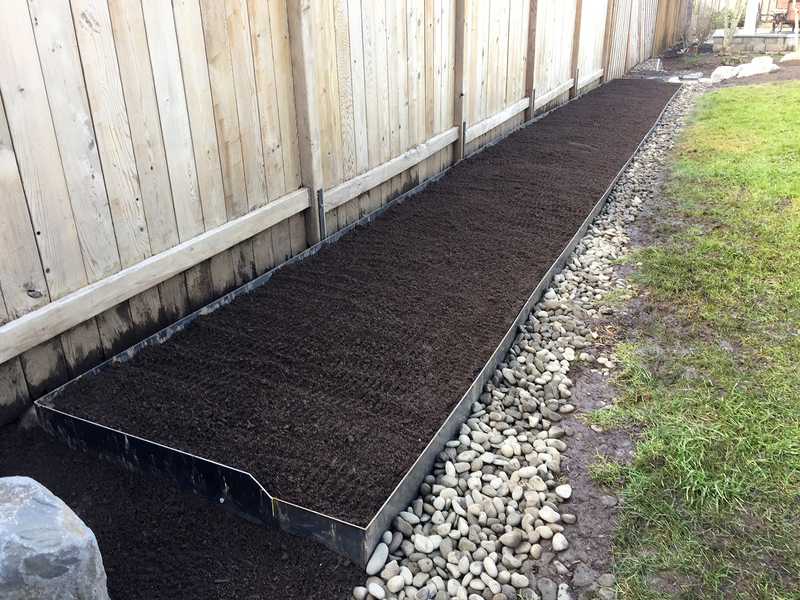 The issue is drainage along the fence. 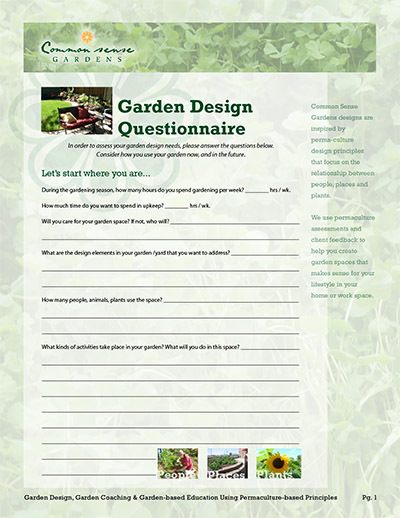 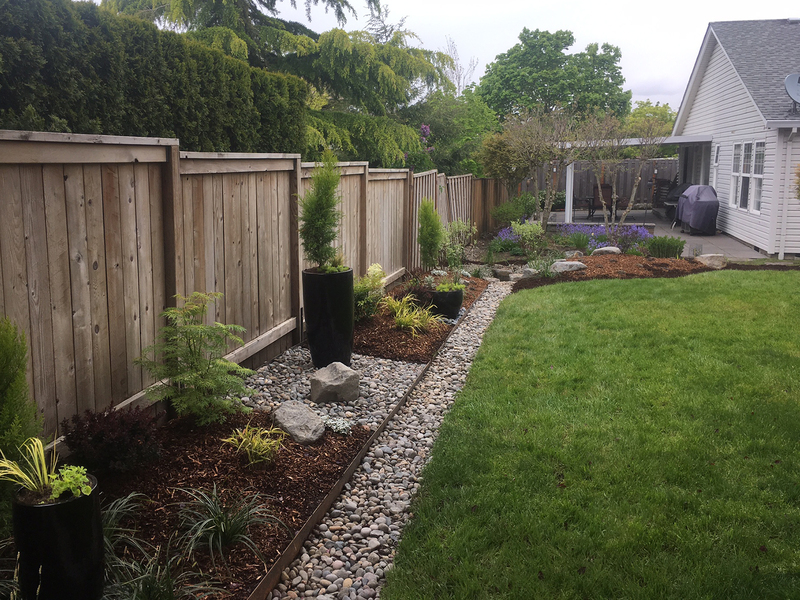 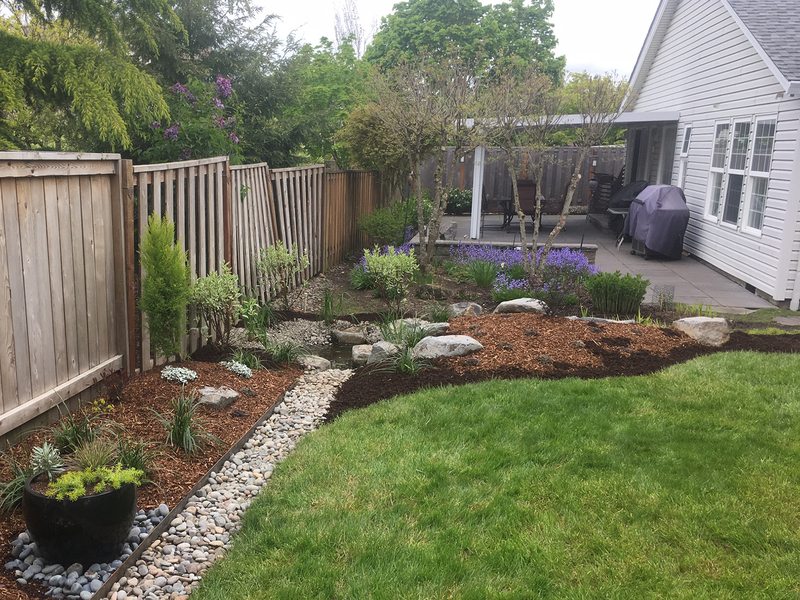 Jan would like to landscape the length of the fence with a design that is primarily evergreen, semi-formal with natural overtones using rock, containers and perennial shrubs. 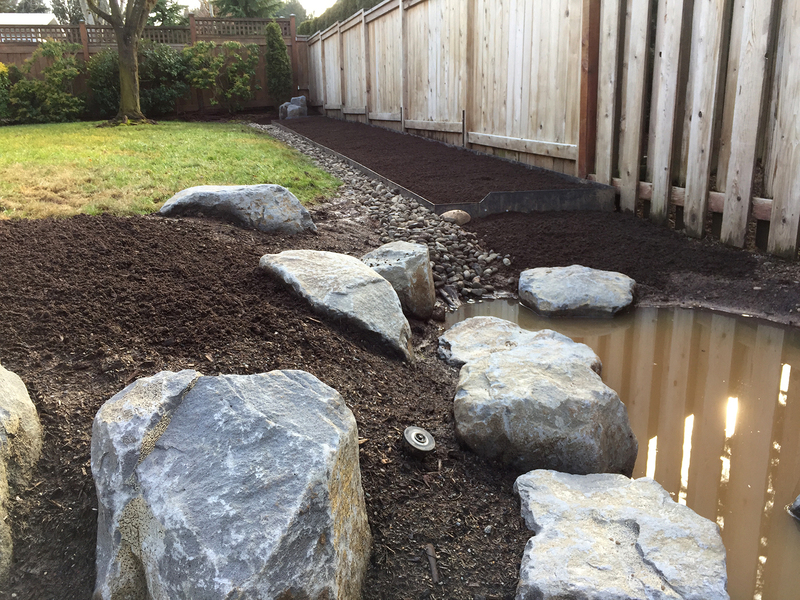 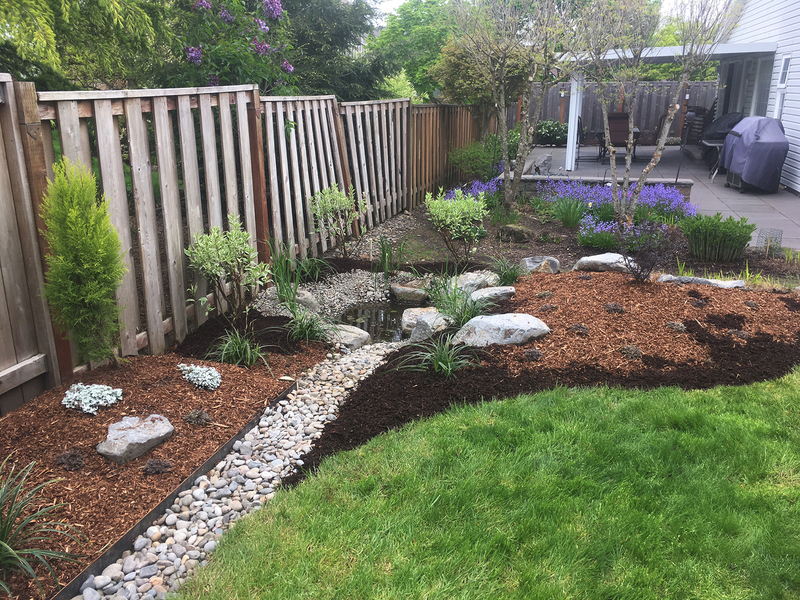 We built a berm and swale to help with drainage issues.